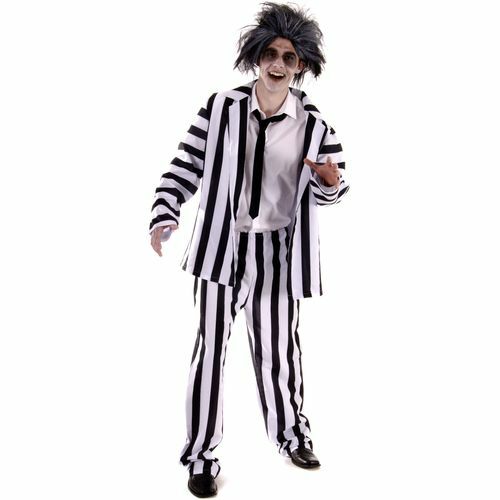 Ideal film character, eighties or Halloween fancy dress costume. Jacket measures approximately chest 46". Trousers measurea pproximately waist 28" relaxed and 42" at full stretch with an inside leg of 30".